"We want to make our dreams come true, together – a vocal group for our generation." This vocal group consists of Arisa Noto, Maho Matsunaga, Moe Toyota, and Miku Ito. After debuting in 2012, in April 2013 the group finalized its current lineup of Arisa Noto, Maho Matsunaga, Moe Toyota, and Miku Ito. They're committed to creating spectacular activity while taking new steps forward with every release. Mr. Tsutsumi has acted as the sound producer for artists affiliated with Aiwill (Lantis Group) such as StylipS, nano.RIPE, Hyadain, and more. He has also directed Hiroshi Kamiya, Ono Daisuke, and Idol Master Million Live, among others. We are StylipS, and we're responsible for the opening theme song, "Senko Refrain"! We sang "Resonant World," the opening theme for the original Fairy Fencer F, so we're very happy we could be part of Fairy Fencer F: Advent Dark Force! We hope that players will be able to sense the harmony and strength that everyone in StylipS interweaved, and that our sound will give them a profound feeling of encouragement as they set out! Sakina debuted in November 2014 with her original single "Discover!" from FTL Entertainment. Later, she put on a live performance as part of an anime convention in Albuquerque, New Mexico. Within two days, over 300 people mobilized to join her for her very first concert in the U.S. She was then chosen to perform the ending theme for Fairy Fencer F: Advent Dark Force, which released in Japan on November 5th, 2015. My name is Sakina, and I had the privilege of singing "There Are Miracles Here," the ending theme for Fairy Fencer F: Advent Dark Force. I'm really honored that they would trust me with this even though I'm still so early in my music career. Thank you so much! This song expresses the strength of believing in miracles, the value of hope, and an all-encompassing tenderness. I put all of myself into this song, so that it would parallel the feelings of the characters in the game. People constantly go through a cycle of connecting and parting. Even when we try to join hands and combine our strength, sometimes fate acts to pull our hands apart. Through this song, I want to convey the feeling that even then, if you can connect your dreams for the future and hold on to that wish, that can lead to miracles which can change your fate. Please enjoy Fairy Fencer F: Advent Dark Force all the way to the end, and give "There Are Miracles Here" a listen! Arisa Noto is the lead performer in the vocal group StylipS. In addition to voice acting, she's taken on a number of other duties, such as choreographer, dancer, motion capture staff, and motion actor. ★ Lead role of Asuka Kyono in the anime "Kyou no Asuka Show"
★ Role of Lilith in the PlayStation®Vita game "Trillion: God of Destruction"
★ Song choreographer for the movie "THE IDOLM @ ASTER MOVIE: Beyond the Brilliant Future!" ★ Song choreographer for the movie "A Certain Magical Index: The Movie – The Miracle of Endymion"
★ Columnist for "StylipS Noto Arisa's Happy ☆ Mango" in the free publication "Anikan"
▶Arisa Noto's Official Blog, "Healing Weather"
I'm Noto Arisa, from StylipS! I was the vocalist for the Vile God story ending "Fate of Faith" and the Evil Goddess story ending "Fantastic Field." Since they were kind enough to let me sing for two different worlds, I embraced all my past experience and sang my heart out. "Fate of Faith" starts off with a feeling of sadness and despair in the first chorus, but it's still beautiful in its own way. The change to a more lively pace in the second chorus was made with speed and rhythm in mind. I hope you can enjoy the contrast between the two. While singing "Fantastic Field" I had the image of a young girl who was growing one step at a time, every day, while embracing her feminine feelings. 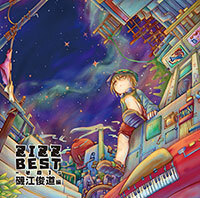 It's a piece where straightforward feelings and melodies act like wings for the girl, and even in her fleeting time you can feel her hope and tears of warmth. I hope both songs will find a way to soften the hearts of all the players who finish the game. EARTHBOUND PAPAS is the band of composer Nobuo Uematsu, who is best known for his work on the Final Fantasy series. 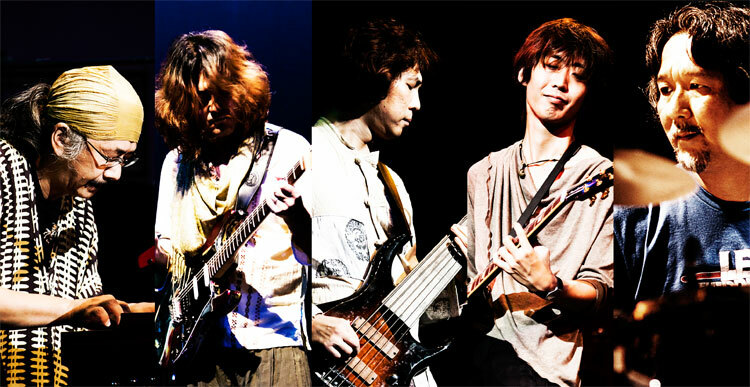 After their debut in 2011 with the album Octave Theory, they have taken part in a large number of events both in Japan and overseas. They released their second album, Dancing Dad, in 2013 and found worldwide success on their tour to the United States, Hong Kong, Sweden, Belgium, and France. ZIZZ STUDIO is a music production company that has long been a supplier of music that transcends genres in games, anime, movies, and television. They specialize not only in pop music, but also in various live instruments such as violin, wind instruments, and so on. They also pay particular attention to the ability to reproduce their recordings in a live venue. They've produced works together with Kazuhiro Watanabe, Kaori Osamu, Sakina, and many more. Continuing on from the previous project, we're very happy to have contributed to the music for Fairy Fencer F: Advent Dark Force! We deliver music with complete confidence that as it evolves, it will make emotion boil over within the game, not only through use of new musical pieces, but also through incorporating previous pieces from the game! 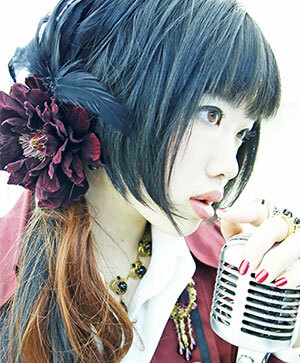 After releasing her first single "The Other Side of Sky Blue" in 2012, she has performed in a number of game songs, including "Sorcery Saga: Curse of the Great Curry God" for PlayStation®Vita, "Fairy Fencer F" for PlayStation®3, "Galtia" for PC, and more. She has also performed as a voice actor in "Sorcery Saga: Curse of the Great Curry God" as well as "Monster Monpiece" for PlayStation®Vita. After a successful solo performance at Harajuku's ASTRO HALL in 2014, she went on to experience her first overseas performance during 45 CJMC in Monterrey, Mexico that same year. In September 2015 she released her first major album "Prelude" which included two songs featured in Fairy Fencer F: Advent Dark Force. My name is Kaoru Hayano. I sang the second half of the game's Fairize song "All Our Might Tonight" as well as Eryn's theme song "Goddess's Recollection"! I had played the previous game myself and was a big fan, so I'm very honored to be involved with the game this time around. "All Our Might Tonight" is back, and it's even more intense and passionate than before. It has evolved together with this newly evolved Advent Dark Force! I hope my Fairize song will drive you to become even more passionate! I was also allowed to write the song "Goddess's Recollection," which has a calm feeling that embraces Eryn's always upbeat personality. While playing the original game, I saw that they used the song in a very important, sad scene. This made me both happy and sad at the same time. Please look forward to how this game will unfold! 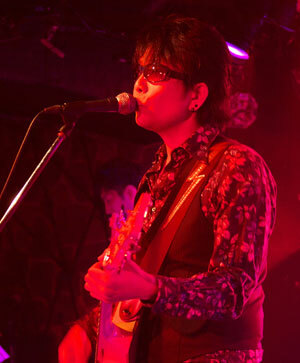 Kazuhiro Watanabe is a singer who uses his voice to create his own hot-blooded world. He has written a great many lyrics as a solo performer. 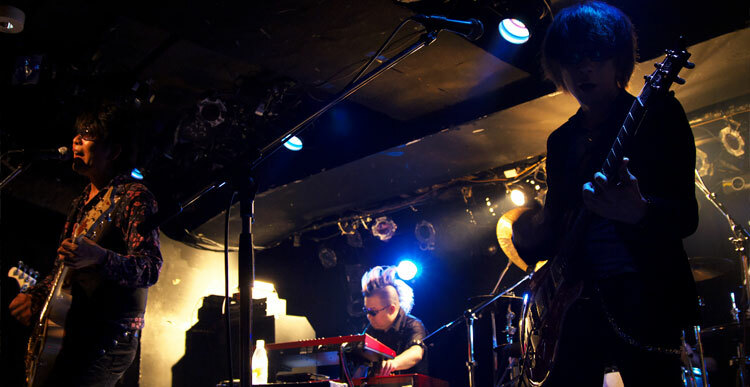 He's also worked as part of the band CRYED (on "Shiratsuyu no Kai" for PlayStation®Portable), as well as putting on a number of live acoustic solo performances. He is currently putting together a new band composed of his own personal dream members! I'm Kazuhiro Watanabe, and I was the vocalist for "FULL CONTACT." I also wrote the lyrics for the ending theme "There Are Miracles Here." "FULL CONTACT" is being reintroduced from the original game, but we've added even more power to the sound. It's worth paying close attention to! 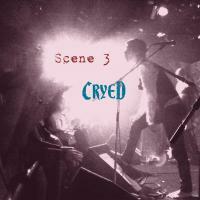 Also, I have to admit that while I was working on the ending theme, I teared up to my own lyrics... I hope that you can enjoy the game along with me, experiencing the extremes of both battle and romance!